and how to profit using a hedge trade. Forex robots, expert advisors how do they work? Submitted by Beginner Trader on Sat, 11/07/2009 - 15:34. Are Trading Courses, for example Traders University, worthwhile to go on. Though I find these courses expensive. Submitted by Forex Tutor on Sat, 11/07/2009 - 15:36. Depends on what they really put in your head. I mean not what they promise, but how it is applicable in real trading environment. I haven't taken this course, so I can't evaluate its effectiveness. Submitted by Beginner Trader on Sat, 02/27/2010 - 09:10. I would like to have one -on-one coaching. do u have something like that? Or live training.?? 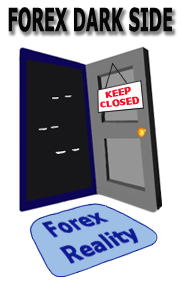 Submitted by Forex Tutor on Sat, 02/27/2010 - 09:10. Thank you for your question. We don't offer coaching or any other type of course or tutoring at the moment. Our mission is to help novice traders find simple answers to everyday questions in their Forex trading and studying. Submitted by Beginner Trader on Mon, 04/12/2010 - 13:17. "I would like to have one -on-one coaching. do u have something like that? Or live training.??" Submitted by Beginner Trader on Mon, 08/08/2011 - 05:04. There are a lot trading books and course in the market, how I know this is the real deal and if is aplicable in the real world? what is the catch?. Submitted by Beginner Trader on Fri, 10/21/2011 - 14:08.